Leicester City are the neutrals' favourite in the Premier League title race, according to Arsenal manager Arsene Wenger. The Frenchman believes Claudio Ranieri's side have won the hearts and imagination of a football-loving public with their swashbuckling style of play that has left the Premier League's biggest clubs in their wake. The table-toppers dismissed the challenge of second-placed Manchester City in remarkable fashion, as they earned a 3-1 win at the Etihad on Saturday to move six points clear of City. 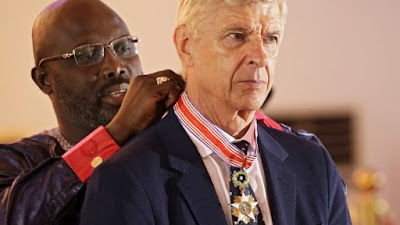 Wenger says the unlikely title chasers are worthy of all the praise they receive as their fairy-tale season continues, and took the opportunity to take a shot at the media for criticising his lack of big-name signings. 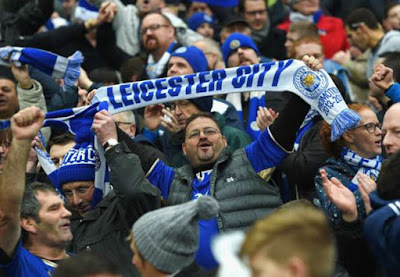 "The advantage they have until the end of the season, apart from our fans and the City fans and Tottenham fans, the rest of the country is behind Leicester," he said. "You reproach me about not buying big names but you will support the team who have no big names. "I think it's great to see Leicester doing so well. "You always ask me, ‘Why do you not buy a big-name?’ but Leicester is a fantastic example that football is not only about just spending the money.